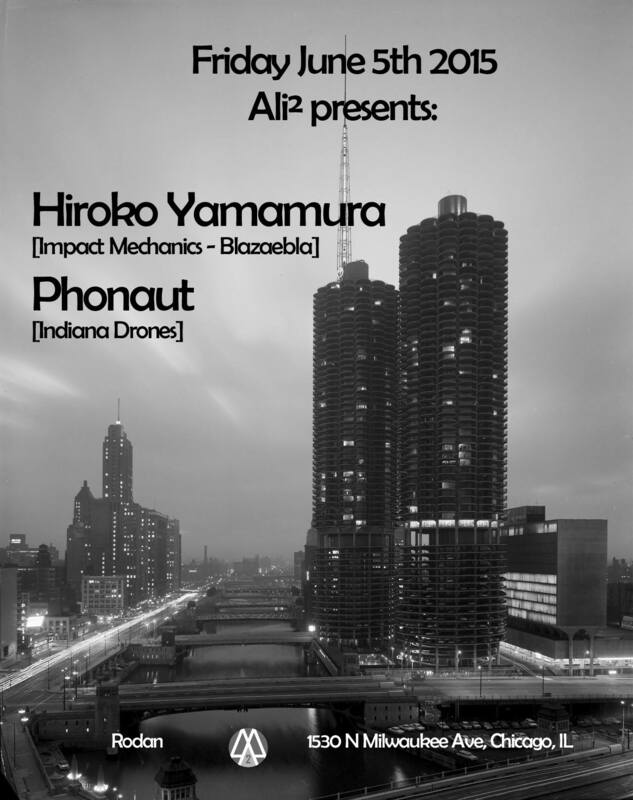 I’ll be playing some tunes from 10pm until midnight at Chicago’s Rodan tomorrow evening. It’s been a minute since I played Rodan, and we’re looking forward to some solid sounds, food and drink. The appearance is in support of Hiroko Yamamura (aka Biobooster) who takes over at midnight to deliver a scorching set of electronic sounds. In other news, the playlist for my recent FIBER podcast has been posted over at the FIBER podcast page. That mix was a sequel to last summer’s Sleep2Dream (stream/download) ambient session. Do some further catching up with other recent sets, one for NoChicago (hit the tiny down arrow in the stream widget to download the mix) and the mighty Secret Sound Wisdom (stream/download) another ambient mix with a few other hidden surprises. ~ by phonaut on June 4, 2015.